The latest figures of cash paid by Premier League clubs to agents have just been revealed and make interesting reading. The figures relate to money paid out between Oct 1 2011 and Sept 30 2012, so basically the last two transfer windows. 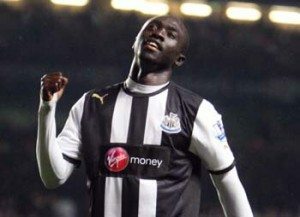 In that time period Newcastle have spent £3.5m, with the vast majority of that no doubt relating to Papiss Cisse and Vurnon Anita, NUFC’s only two major purchases in that time. This compares to United spending £6.4m in the previous period (Oct 2010 to Sept 2011) when the likes of Cabaye, Ba, Marveaux, Obertan and Santon were recruited. In terms of money spent, Newcastle have fallen from 5th (spooky or what) to 9th (we’d all settle for that at the minute) in these latest figures. Newcastle’s lower spend on agent reflects the reduction in transfer activity and the fact that our squad was reduced in numbers and we are seeing the reality of that hitting home at the minute. Obviously the whole idea of so much money being taken out of football by agents is beyond the pale. A total of £77m paid by Premier League clubs, and ourselves as fans, which is over £5m more than the previous year. Manchester City predictably are top of the table and Liverpool continue to do their bit for the agents union, plus QPR’s policy of buying aged Premiership players seems them rocket up to third.